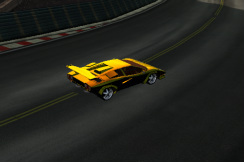 You can find all my Unity 3D games below! Catch the Eggs is a fun single player arcade experience, where you try the... Catch the Eggs!!! Catch the Eggs should be available soon! 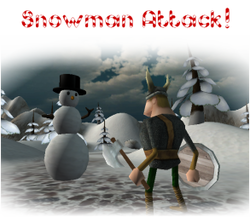 Snowman Attack is a small game project that I decided to do! You play the role of Bork who must defend his cottage from the attacking snowmen! I was experimenting with 2D slingshot physics, and came up with this. It's a little rough (as it's a proof on concept), but still fun! This game is my first project that I intended to publish! As it's my first it is not my best work. But hey, it's still fun to look back at and see how far I've come!